The nomenclature assigned to the condition broadly described as ASD is bound to become more precise as our understanding improves. PANDAS-PITAND-PANS are names for a group of medical disorders that can present as autism ‘on steroids’. The conditions are believed to follow some type of autoimmune activation. 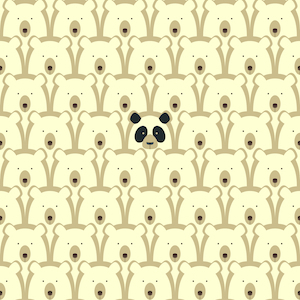 In the case of PANDAS, a common bacteria (the kind that causes strep throat) is the suspected offending agent. PITAND was suggested when the infection is unknown, and PANS implies that other agents may be the problem, as well. They all share the common presentation of intense repetitive behaviors and aggression (described as obsessive-compulsive) in a cyclic fashion with periods of exacerbation and relative remission, in the pediatric age group. When the disease affects autistic patients, it is quite often difficult to differentiate from an increase in ASD behaviors. Patients who exhibit severe tics may be thought to have Tourette’s Syndrome. The disease was first documented in 1998, and has since taken on a cult-like aura. Doctors ask each other, “Do you believe in PANDAS?” Families who have become more knowledgeable seek the few physicians who diagnose and treat these related disorders. 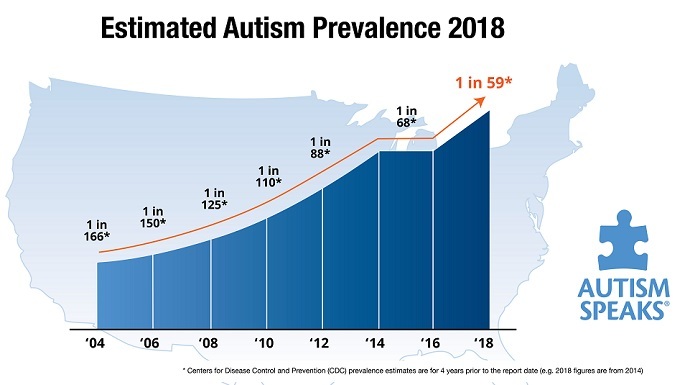 Therefore, the term is subject to The Wakefield Effect (any unconventional theory or treatment for autism is considered to be foolish and useless, possibly leading to greater harm). Nevertheless, 16 years ago, Dr. Sue Swedo described a “homogeneous patient group in which symptom exacerbations are triggered by GABHS infections.” That post-streptococcal symptom complex is not unlike the Rheumatic Fever epidemic of the 1930’s and ’40s, where heart valves are the target. Some believe that morphed into a specialized kidney disorder in the latter part of the last century. Add a few more antibiotics, steroids, altered bacteria and pollution. Voilà – a novel version of the same auto-immune disorder in a new era. This time, the brain and gut are the targets of antibodies gone awry. A youngster with a fever and sore throat, followed shortly thereafter by an acute exaggeration of compulsive and disruptive behaviors, describes a less-than-typical clinical picture. A more common presentation is when a moderate-to-severely affected child, thought to ‘only have’ ASD, begins to deteriorate in subtle ways. The family may seek behavioral or biomedical relief, such as treating suspected yeast, or neurological evaluation and medications. A positive throat culture is not a de rigueur finding; the additional names (PITAND and PANS) have been added to account for the symptom complex occurring in the absence of any proven infection. Also, bacteriological testing will usually be negative by the time the diagnosis is suspected, and is only possibly helpful in the acute phase. To be clear, a negative throat culture does not mean the patient doesn’t have the condition, and a positive one does not prove it. PANDAS is, therefore, a clinical diagnosis. The workup includes evaluation of constitutional integrity (blood, liver, kidney, immune system). The most commonly accepted laboratory tests are the presence of elevated levels of anti-strep antibodies, anti-DNAse B and anti-streptolysin O, which are serum markers of recent exposure. Treatment is as frustrating and enigmatic as the condition. Although antibiotics are not suggested because of the timing of infection to symptoms, there are more than a few patients who have improved when treated with penicillin, etc. This suggests that organisms could still be residing in the respiratory system or in some part of the G-I tract. Additional immunologic interventions include steroids, IVIG, plasmapheresis, and extreme behavioral interventions. Prophylactic antibiotics and periodic immunologic interventions have been utilized with varying levels of cost, risk and benefit. Screening mechanisms have been proposed to reduce strep in the environment, with systemic or topical antibiotics administered to patients and family members, as needed. According to one expert, in a particularly difficult case, the offending cootie was discovered living on the family dog. Dr. Swedo has stated that 1/2 the children in an 8 year study had “lost their symptoms.” The outcome is quite variable, especially in patients who already suffer from other conditions, such as ADHD and ASD. The name, PANDAS, is sort of an oxymoron. There is nothing ‘cute’ about this mysterious autistic condition. And, it is a bear to diagnose and treat. This entry was posted on Sunday, June 29th, 2014 at 5:14 am	and is filed under >ALL<, AD/HD, Alternative and Complementary Medicine for ASD, Autism Therapies, Gastrointestinal Issue, PANDAS etc., Patient experiences. You can follow any responses to this entry through the RSS 2.0 feed. You can leave a response, or trackback from your own site. Pediatric Autoimmune Neuro-psychiatric Disorder Associated with Streptococcal infections. Antibodies to strep attack the host. 'Cleaning' the blood by removal, filtering, and returning it into the circulation.